Pigs, Sheep and Goats! Oh My! Crocker Park will be teaming up with local nonprofit “Downs on the Farm” to bring “BarnYard Yoga” to Market Square on Saturday, September 22. Grab your yoga mat and friends and join several sociable barnyard animals for both an invigorating yoga class and a stress relieving afternoon. The fun begins at 12pm with a 60-minute class consisting of the perfect balance between instructional yoga and free time with the animals. Downs on the Farm was started by Shawna Hodges and is grounded by a strong mission to both enrich the lives of children with special needs and make homes for neglected and unwanted animals. 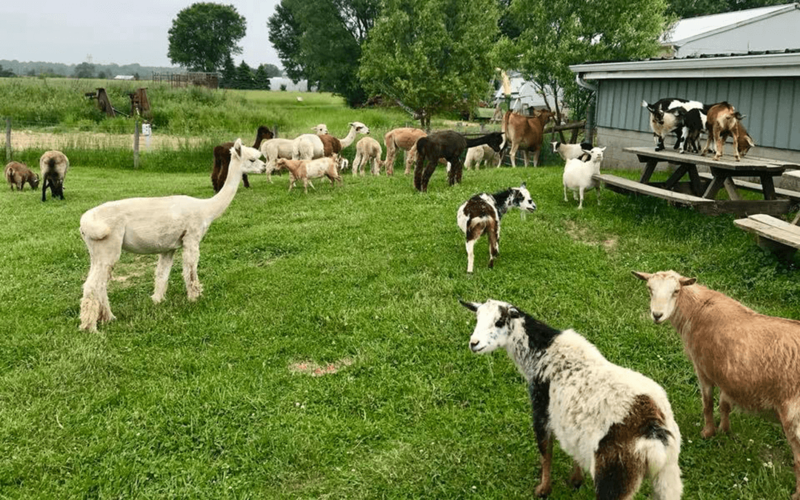 They do this through stimulating and fun animal and farm-based activities and events showcasing the therapeutic benefits of being on their 55-acre sanctuary farm. The class fee is $27 and requires an individual, prepaid registration for anyone entering the class. You can purchase tickets for this event at www.downsonthefarm.org/farm-events. Each BarnYard Yoga ticket includes free admission to Downs on the Farm’s own Escape Room, located at the farm in Amherst, up until 14 days after the event on September 22!